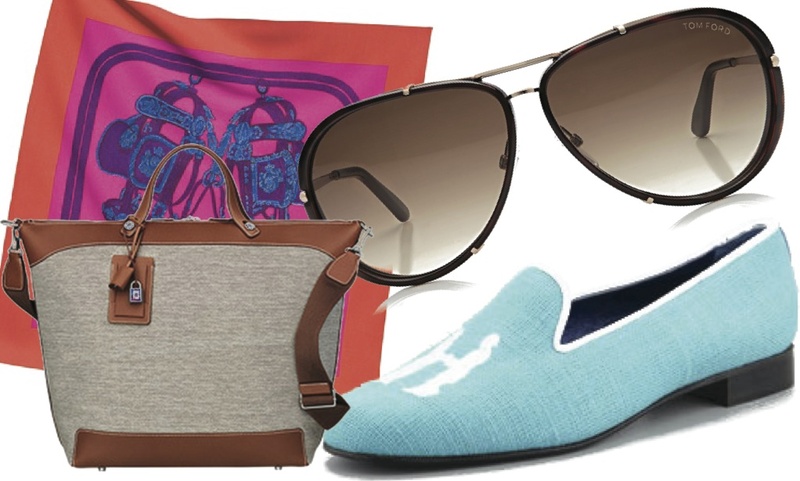 When it comes to summer travel, you can’t go wrong with a pair of statement sunglasses and the right slippers. Hermès makes the perfect pieces of luggage that are sure to carry you through your trips in style. Pair Tom Ford sunglasses with a bright Hermès scarf – essential accessories. We love a brightly colored pair of slippers from Hadleigh’s – chic and comfortable. What’s on your packing list this summer?